Because of the aggressive nature of many cancer treatments—and the tremendous increase in survival for many cancer types in the past several years—patients are living longer with treatment complications. That’s why Johns Hopkins physical therapist Laurie Fitz, physiatrists Samuel Mayer and Dorianne Feldman, and a group of specially trained physical and occupational therapists and psychologists operate the Johns Hopkins Cancer Rehabilitation Program. The program offers rehabilitation therapy before, during and after cancer treatments on both an inpatient and outpatient basis, all precisely customized to patients’ needs. To help head off some of these issues, patients referred to the program by their oncologists will often receive “prehab,” Mayer explains, or exercises before treatment to make sure side effects don’t compound problems that already exist. For example, physical therapists might examine a breast cancer patient’s range of shoulder motion and prescribe flexibility exercises before radiation to make sure that resulting scar tissue won’t impact the patient’s ability to reach overhead or behind the back. Fatigue, both mental and physical, is one of the most common side effects during cancer treatments, Fitz adds. To combat this issue, occupational therapists work with patients to develop strategies to boost memory and concentration, while physical therapists can help patients begin or continue walking and other exercise programs. Fitz explains that numerous studies have shown that exercise during cancer treatment can help relieve some of these side effects and prevent further impairment or dysfunction down the road. Being able to stay active after treatment has been shown to reduce the risk of recurrence of certain cancers, such as breast and colorectal. In addition, getting in shape before treatment starts can help optimize outcomes. To get patients into therapy sooner—when overall results tend to be better—Fitz, Mayer and their team are working to implement systematic assessments that nurses or other practitioners can administer to detect functional decline in their patients. If a patient’s physical status changes significantly between appointments, it can be used as a trigger for prescribing rehabilitation. These assessments are currently being piloted in radiation oncology for head and neck, brain, and breast tumors. After cancer treatment ends, the therapies can continue to help patients achieve the best possible quality of life as cancer survivors or while living with chronic disease. In summer 2018, the Cancer Rehabilitation Program started providing cancer rehabilitation services in a state-of-the-art rehabilitation gym in the new Skip Viragh Outpatient Cancer Building, where complete cancer care is delivered in one location across 10 floors. 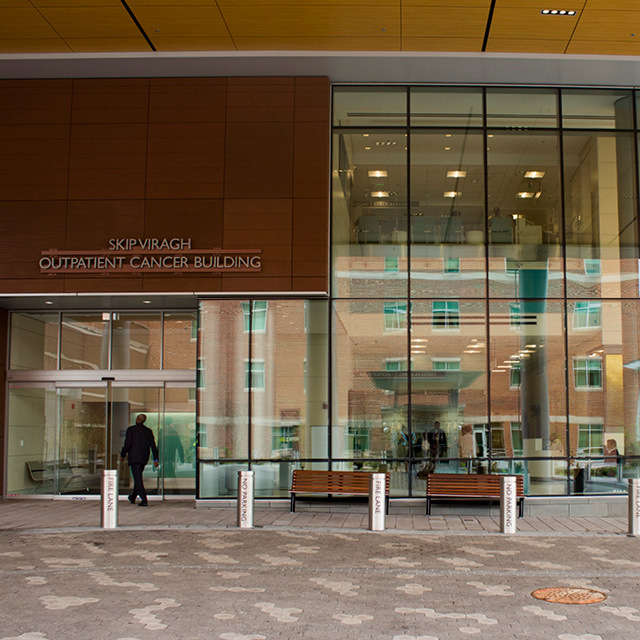 The building is a key hub of cancer services and clinical research at Johns Hopkins, and is the embodiment of team science and precision medicine, bringing the very best treatment plan and supportive care to each patient. It offers 38 exam rooms, 38 infusion rooms, six consultation rooms, a café and sweeping views of Baltimore’s skyline. 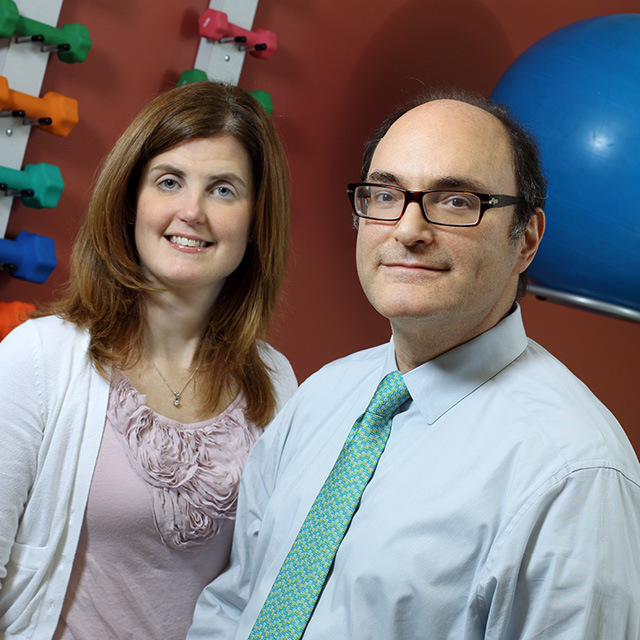 The new location is one of several places within the Johns Hopkins Rehabilitation Network that offers cancer rehabilitation services.